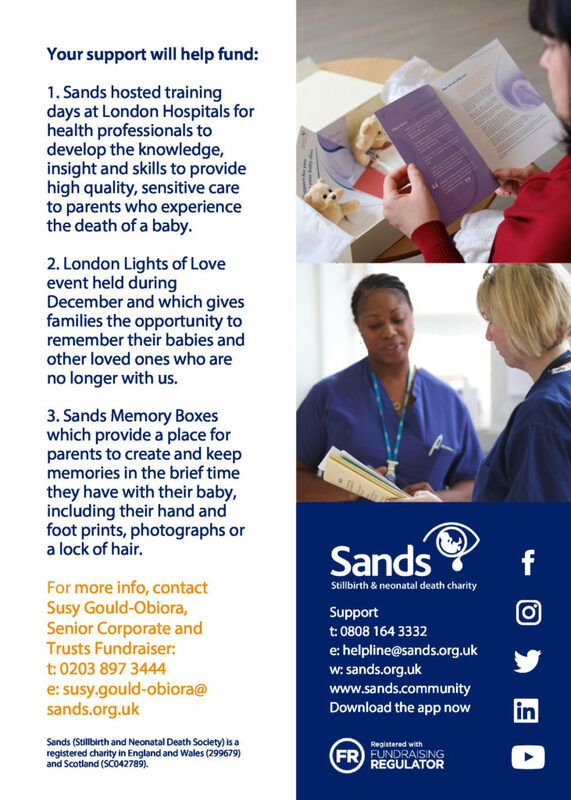 Our Master, David Giachardi, has chosen Sands in memory of his granddaughter Matilda who was stillborn in 2014. 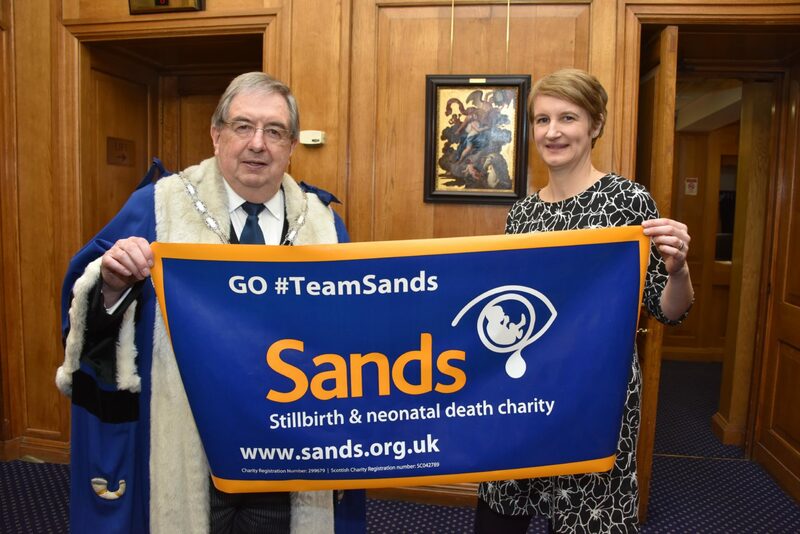 He said: “My family are extremely grateful to Sands for the support they gave us following the death of our granddaughter Matilda, and that is why I have chosen them as our Charity of the Year for 2019. 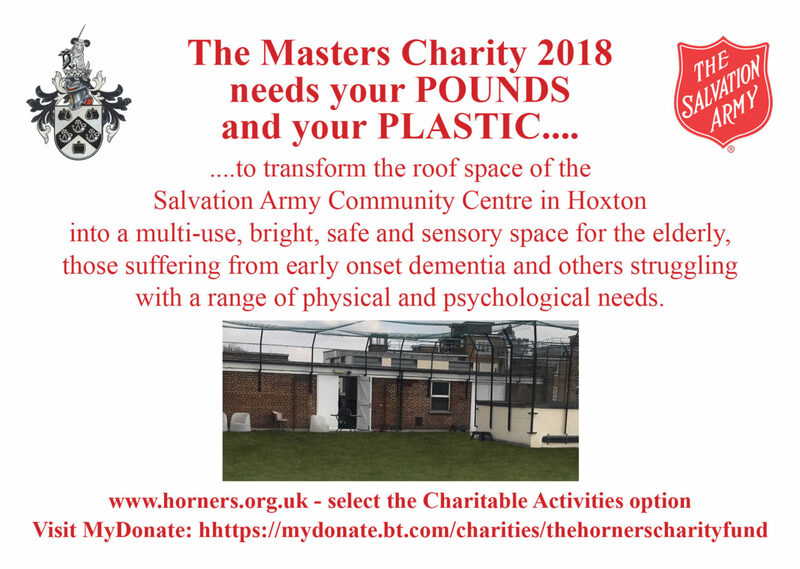 Each year the Master Horner chooses a Charity to support and in 2018 the Master Horner, Gordon Haines MBE, chose to raise funds for the Hoxton Salvation Army Community Centre. 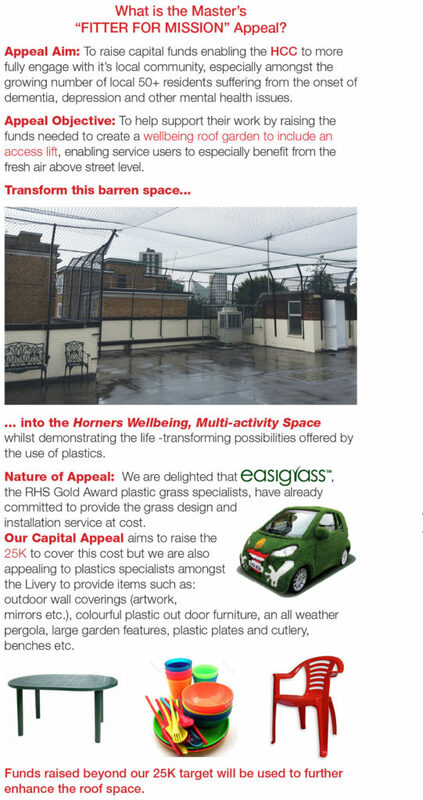 The aim was to transform the roof space there into a multi-use, bright, safe, and sensory space for the elderly and those suffering from early onset dementia and others struggling with a range of physical and psychological needs. 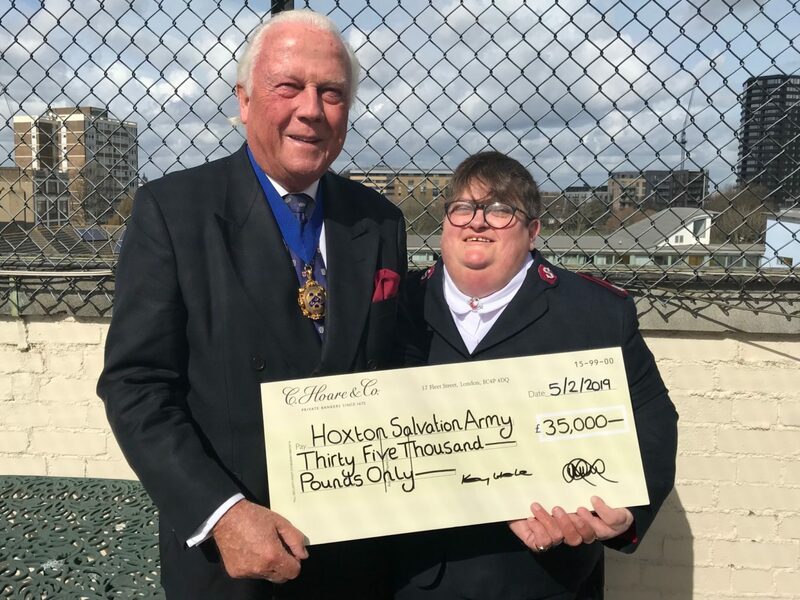 A cheque for £35,000 was presented to Major Sally Spry of the Salvation army in March 2019 by the then Deputy Master Gordon Haines at the roof space which is now to be transformed. The Masters Charity for 2017 is Blind in Business. Blind in Business helps people who are blind or have partial sight into work. Their training and employment services help identify them to help and achieve their ambitions. They offer help and support in finding work, the interview process and obtaining equipment to help them succeed. They also support employers in hiring and working with people with visual impairments. This year the Master has chosen Mudchute on the Isle of Dogs as his charity. 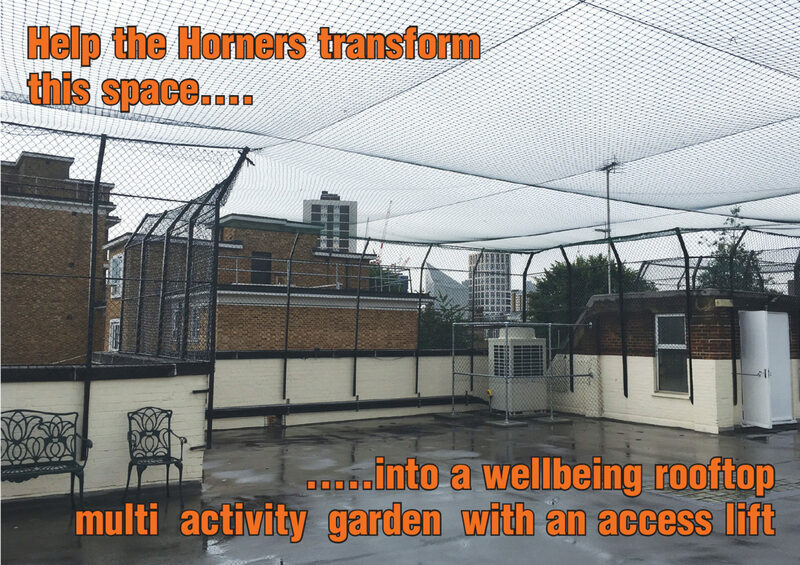 No doubt you will have read about the wonderful work that is being done there for young and old in the East End of London. 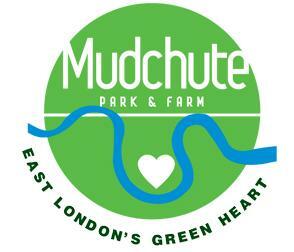 Set in 32 acres of countryside in the heart of East London, the Mudchute is a community charity, with a working farm, stables, a children’s nursery and a wide range of education activities. 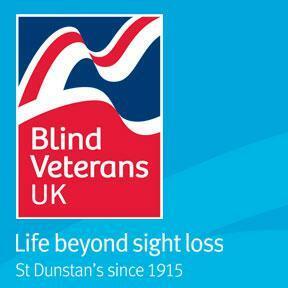 Blind Veterans help blind ex-Service men and women lead independent and fulfilling lives by supporting them with our in-depth expertise, experience and full range of services. They give veterans much-needed support to adjust to sight loss, overcome the challenges of blindness and enjoy daily life. 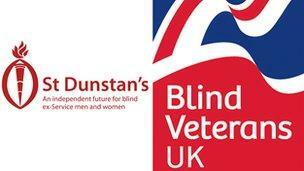 Our charity has been offering physical and emotional support to vision impaired veterans since 1915. 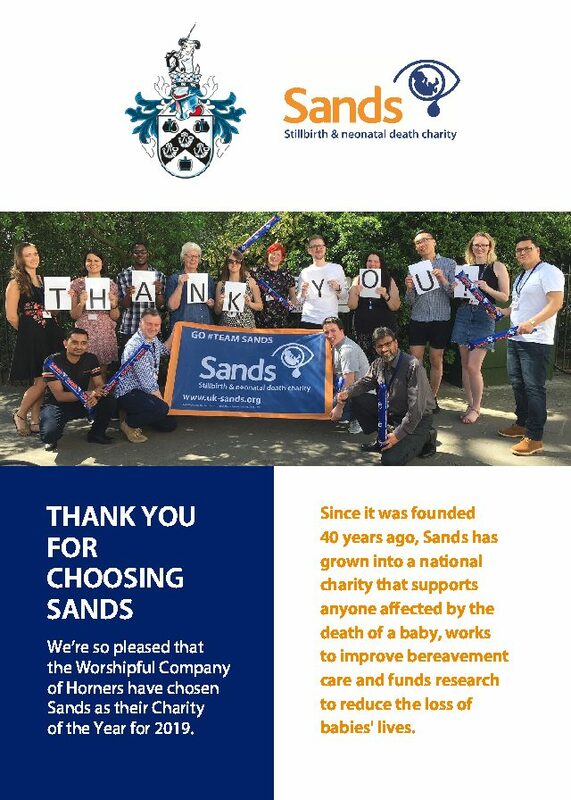 The choice of this very deserving charity is a fitting tribute to our late Upper Warden, Robert Leader, who dedicated so many years to the charity as its Chief Executive. In 1956 the original Camphill Village Trust started at Botton and is home to over 100 adults with learning disabilities and 150 volunteers with their families from around the world. The volunteers receive no wages but everyone lives off the five farms and an amazing collection of cottage industries. The accommodation is a variety of farmhouses on the hillside surrounded by animals shrouded in mist. They farm totally organically and the Shorthorn Cows own horn is ground up and used like bone-meal on the fields. There are a total of eleven Camphill Villages in the UK but the average age at Botton is increasing and many of the volunteers have their own children giving a very wide total age span. Very few of the houses have television or internet access. Our new Master Jack Bunyer has had a long association with Botton and feels that this is an extremely worthwhile venture and so we asked them what could we do to help that would make a really positive impact on their lives. The answer is that all residents and especially those getting a little older would really like to have somewhere to relax together socially in the evenings and at weekends. There is a small rather tired hall which needs some serious re-furbishment and would benefit from a selection of comfortable sofas and chairs, a large television, perhaps some form of internet access, a pool table for the younger inhabitants and a spend of £ 20,000 would bring immense change and comfort to a wonderful group of self sufficient people. 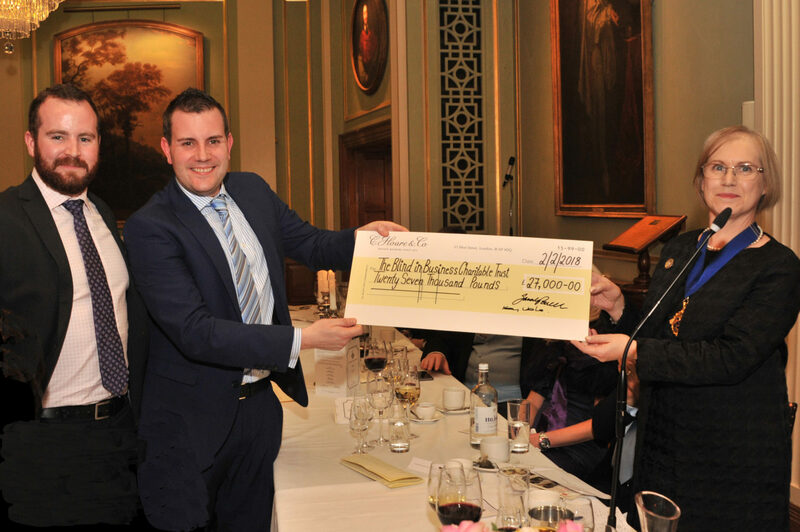 The Behçet’s Syndrome Society has been established as a charity for over 25 years (Registered Charity No. 326679) and represents Behçet’s disease patients and their carers in the UK. Equally importantly, it exists for those not yet diagnosed with Behçet’s disease and those who think they may have Behçet’s disease. Behçet’s syndrome is a rare disease. Behçet’s disease is a rare, chronic, lifelong disorder that involves inflammation of blood vessels throughout the body. Symptoms of Behçet’s disease include recurrent oral and genital ulcers, and eye inflammation. The disorder may also cause various types of skin lesions, arthritis, bowel inflammation, and meningitis (inflammation of the membranes of the brain and spinal cord). Behçet’s disease generally begins when patients are in their 20s or 30s, although all age groups may be affected. Behçet’s is a multisystem disease; it may involve all organs and affect the central nervous system, causing memory loss and impaired speech, balance and movement. The effects of the disease may include blindness, stroke, swelling of the spinal cord, and intestinal complications.